Home » FAQ » How to fix issue with changing image sizes in slider? How to fix issue with changing image sizes in slider? On a regular basis we receive support questions, which are always about the same slider issue: Images are resizing automatically in the slider or make the slider move up and down and – to exaggerate – push content into all kinds of directions. So we thought it might be a good idea to write a quick support article on this topic and give some advice on how to easily fix this slider image problem. To anticipate, this issue is not related to the slider itself, but in fact to the inconsistent image sizes your website is working with – especially after a theme switch. To make sure we are on the same page and you have your slider in the right place, here’s just a quick outline on what your slider settings should look like. 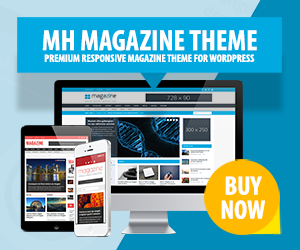 Regarding our WordPress themes which include the MH Slider widget, make sure you have set a static front page as the slider solely shows if your static front page is set properly and if you have placed the slider widget in one of the available widget areas. In addition, we usually recommend to place the MH Slider widget in the “Home1” widget area, as this is the most suitable spot in many of our themes to display large, eye-catching images in a dynamic manner. Why does the Slider move up and down? Especially if you have just switched your WordPress theme, you could experience slider issues with inconsistent images. The slider is designed to display certain image sizes and if the image size is too large or too small you will notice that the images in your slider will behave in an odd way. That means it’s very likely that either the thumbnails on your site aren’t regenerated or the uploaded images are simply too small. If the images are smaller than what is recommended, they will automatically be scaled by the browser. And this also affects the height of the images and results in a slider that changes the size based on the image proportion. How can you fix this Slider Issue? If your images fit at least the recommended image size dimensions of your WordPress theme, you will not have this issue. So there are two things you will need to do: First, regenerate your thumbnails by using a plugin (e.g. Regenerate Thumbnails). Second, only upload images with proper size. To make sure, that you upload images that fit the particular slider of the WordPress theme you are using, please see the theme documentation for your theme. Why does my slider move up and down? Why does my slider push all content down? Why are image sizes changing in slider? Why are my images resizing in the slider? How can I remove placeholders in my main slider? Hi Tonya, we don’t know what WordPress theme you’re using, but sliders usually rely on images. In addition, in case you haven’t uploaded images (e.g. featured images) for your content, then sliders often display image placeholders to prevent collapsing slides. In other words, it would be highly recommended to display images in your slider accordingly.